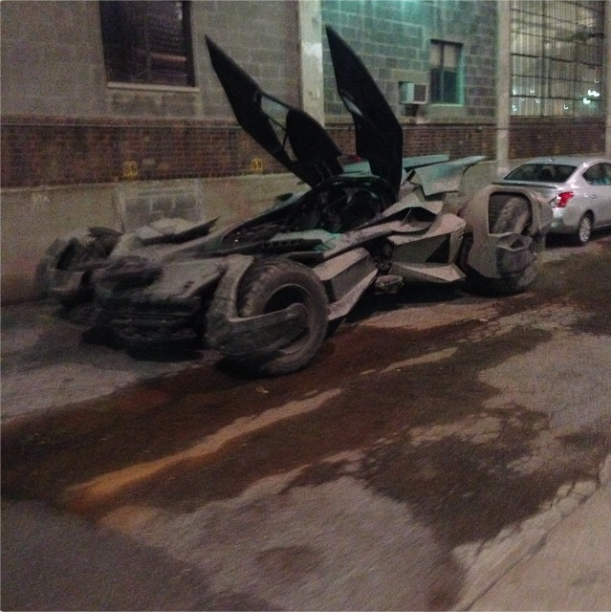 Batman v Superman: Dawn Of Justice has finally brought the Batmobile to the set of the film, and images are popping up from the shoot. 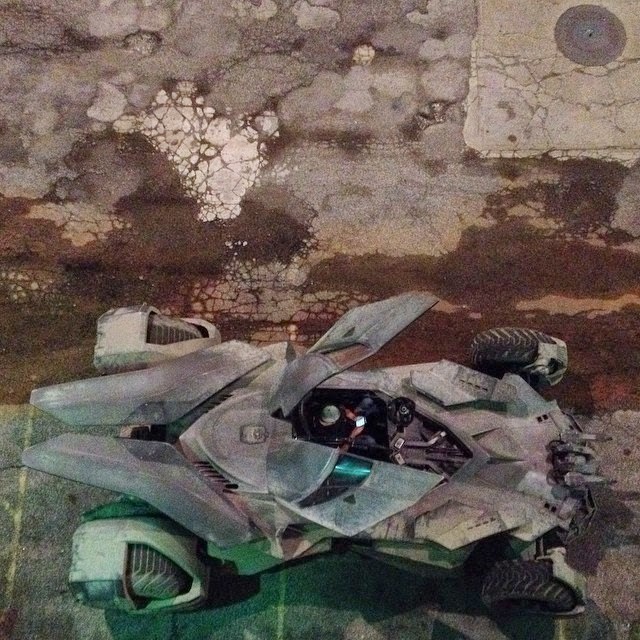 It looks like Batman might have gone muddin' in a couple of these shots. 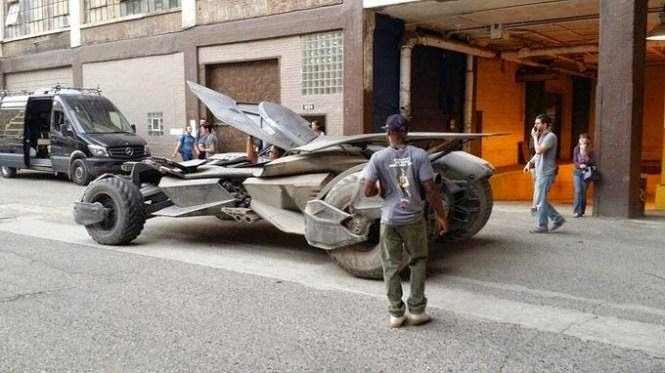 Batman v Superman: Dawn Of Justice hits theaters in March 2016.